CLARE’S newest development, Sycamore Drive, is turning buyers’ heads with only one home remaining in Phase One of this turnkey offering. 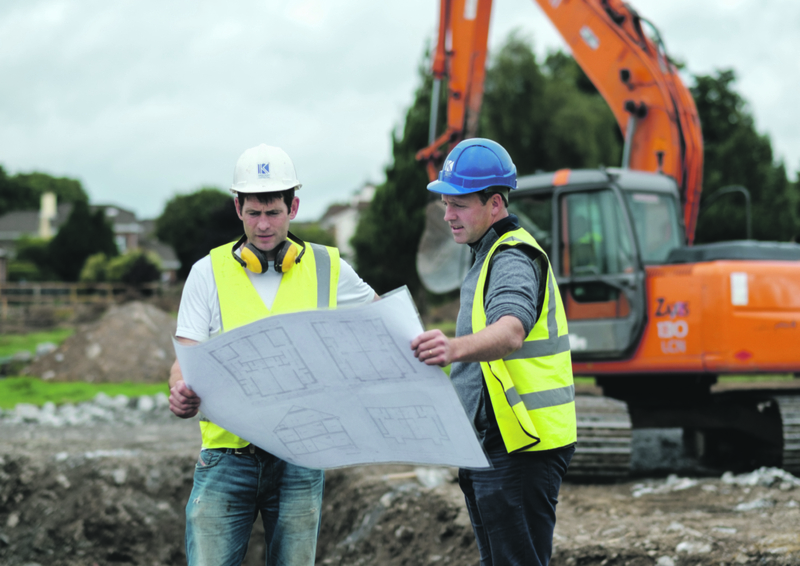 Patrick Keogh of Pat Keogh Construction has revealed that work is now well under way of the luxury 47-home development which was launched last month by sole agents, DNG O’Sullivan Hurley. Sycamore Drive will deliver unrivalled turnkey quality never before seen in County Clare. Speaking to The Clare Echo from onsite, Patrick reveals that Sycamore Drive’s show house will be ready in January with Phase Two expected to be placed on the market by Christmas due to high demand. The energy efficient family homes are located on a mature site on the Limerick Road in Ennis, previously home to the Halfway Pitch & Putt course. The first three phases include three-bedroom semi-detached homes with an option to convert the second floor to a fourth bedroom, while the last phase will offer larger units including three detached homes, which will be 4/5 bedroom. 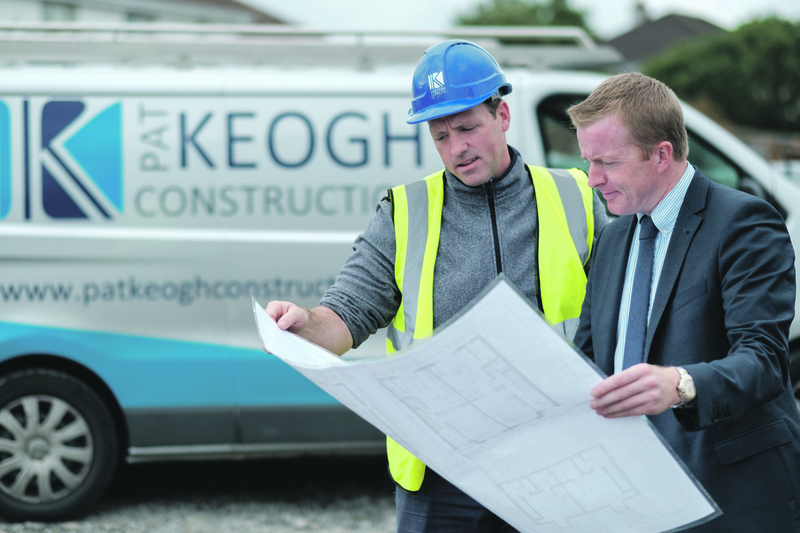 Patrick, who has been director of Pat Keogh Construction for the last 10 years following his father’s retirement, says he is delighted his company is in a position to offer turnkey homes to suit the “new era of modern sustainable living”. “My father retired about 10 years ago – since then the recession has come and is hopefully on the way out but predominantly because of the recession there’s been no private work carried out. It’s mostly been public work in terms of schools, housing for the elderly – we did a scheme in Cahercalla for Cuan An Chláir – a few medical centres and in the last four years working on social housing. The overall outline of the planning went in and was approved in 2015 but Patrick adds, “We have stepped ahead of 2015 regulations and said ‘no, we’re going to go for 2018/2019 standards here opposed to sitting with the regulations when planning was approved’. Ireland has a national energy efficiency action plan and all Keogh Construction homes will be at an A1 standard by 2022. Sycamore Drive will meet A-rating through its electric heating system (which utilises heat pumps and offers underfloor heating), energy-efficient features including high levels of insulation and high-performance windows and doors. That’s before the appeals of luxurious turnkey features such as custom-designed fitted kitchens and luxury tile finishes in the bathrooms are taken into account, along with electric car charging stations. With only two homes left, it’s also worth noting that all Phase One houses have south facing gardens. Sycamore Drive is the only development of its type in Clare and of the largest scale, certainly since the Celtic Tiger year. Patrick says that the price tag of €260,000 also allows buyers to cut out all associated costs by walking into a turnkey home. Please register your interest at www.sycamoredrive.ie or call the sole selling agents DNG O’Sullivan Hurley on 065 6840200 for more information.